Adversities give birth to opportunities. 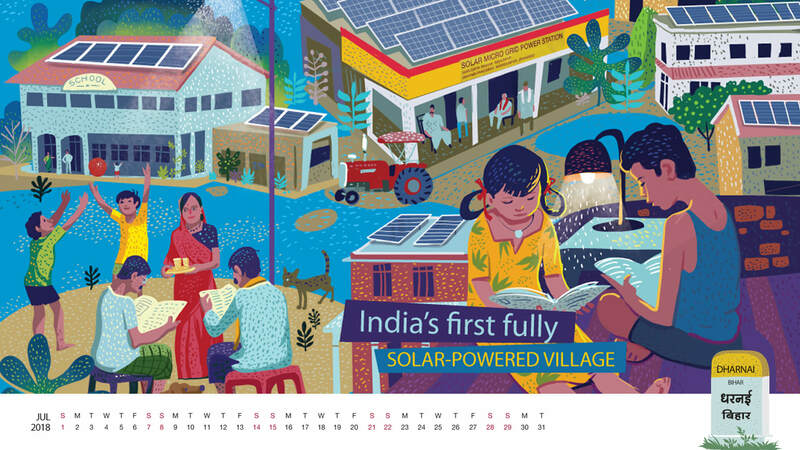 The next 12 pages will strengthen the truth of this statement because in the next 12 pages you will find stories of 12 Indian villages that make you wonder, what determination and grit can help you achieve.12 Indian villages that make you wonder if impossible is just a myth. 12 Indian villages that make you wonder how transformation of an entire village can be made to look so easy. 12 Indian villages that will make you wonder why we wait for miracles when we can create our own. 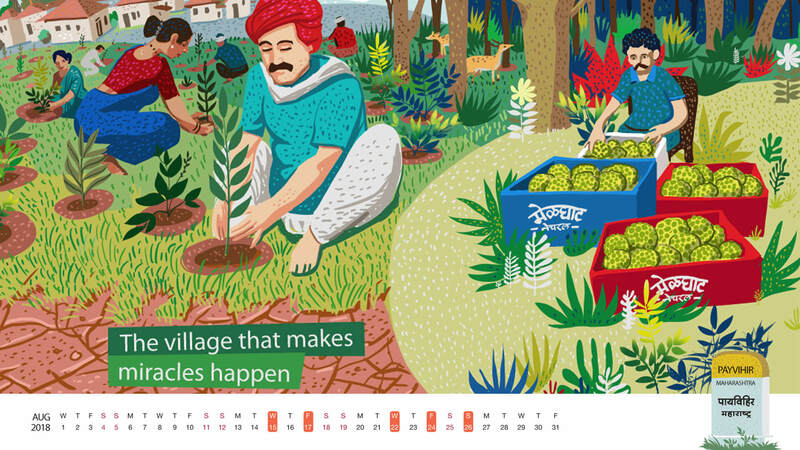 Here are the stories of 12 Indian villages that are truly a WONDER. 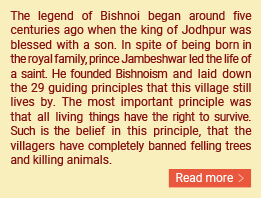 The legend of Bishnoi began around five centuries ago when the king of Jodhpur was blessed with a son. In spite of being born in the royal family, prince Jambeshwar led the life of a saint. 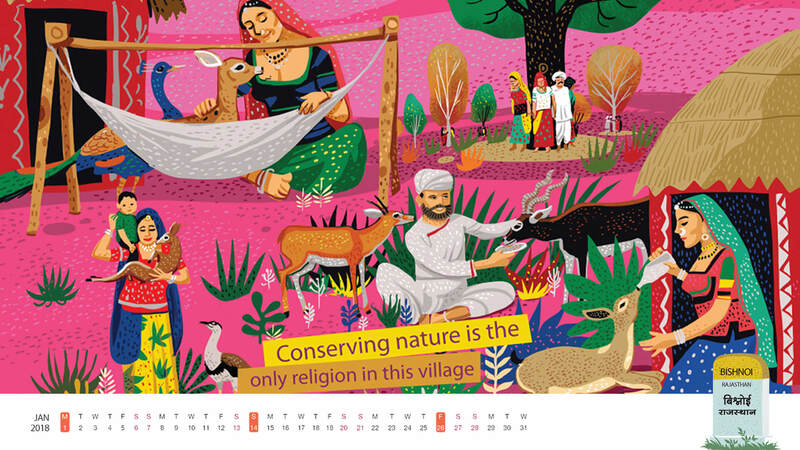 He founded Bishnoism and laid down the 29 guiding principles that this village still lives by. The most important principle was that all living things have the right to survive. 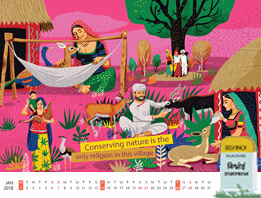 Such is the belief in this principle, that the villagers have completely banned felling trees and killing animals. In fact, they go one step ahead and feed the needy and weak animals just like their own children. So much love for nature is simply unheard of. Decades ago, a lot of people from Bishnoi even laid down their lives to protect trees. It is really inspiring to see a village where people care about the nature so much that they would literally go to any extent to protect it. 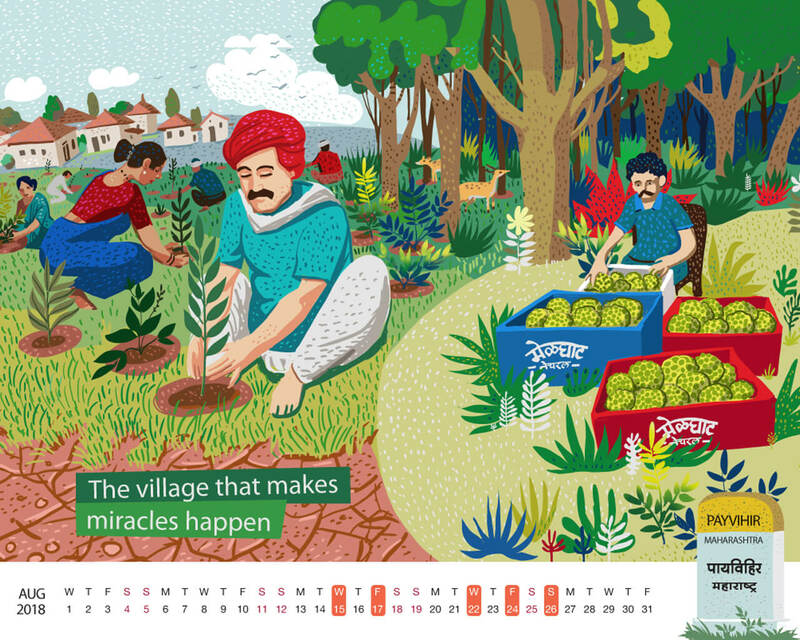 Their love and commitment towards nature was the real inspiration behind one of the biggest non-violent forest conservation movements in India, the Chipko Movement. The story of Hiware Bazar is surely a fascinating one. 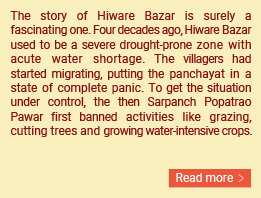 Four decades ago, Hiware Bazar used to be a severe drought-prone zone with acute water shortage. The villagers had started migrating, putting the panchayat in a state of complete panic. 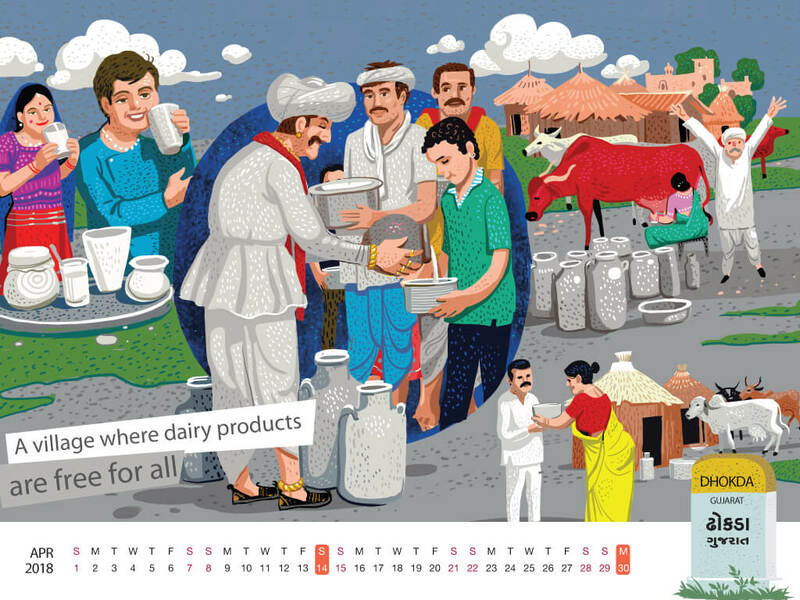 To get the situation under control, the then Sarpanch Popatrao Pawar first banned activities like grazing, cutting trees and growing water-intensive crops. To get each villager’s focus on the serious issues, alcohol and gambling were then banned. Family planning laws and rainwater harvesting were introduced soon after this. 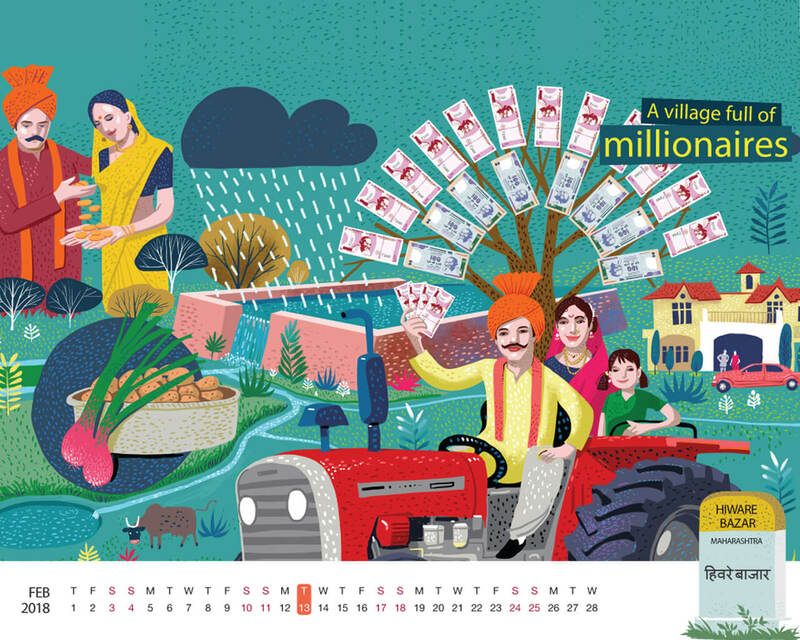 These simple measures taken by the village panchayat were so successful that the income per household rose exponentially and today there are over 60 millionaires residing in this village. 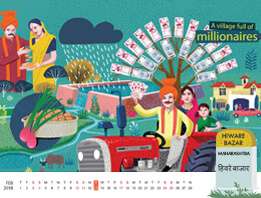 From being a village that lacked basic resources to becoming a village full of millionaires, Hiware Bazar has come a long way. 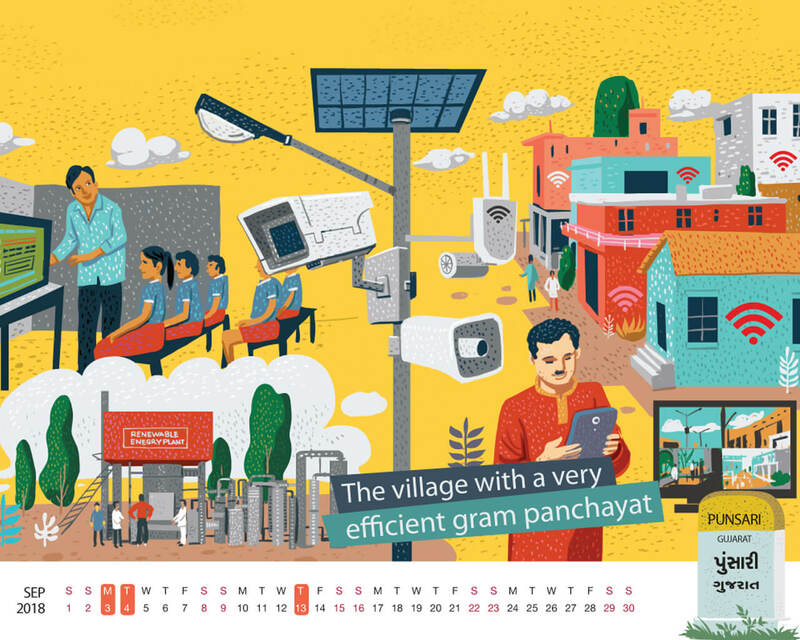 Gangadevipalli can be the perfect role model for every village across India. Years ago, water scarcity was the biggest problem here and every house in the village contributed towards solving it. 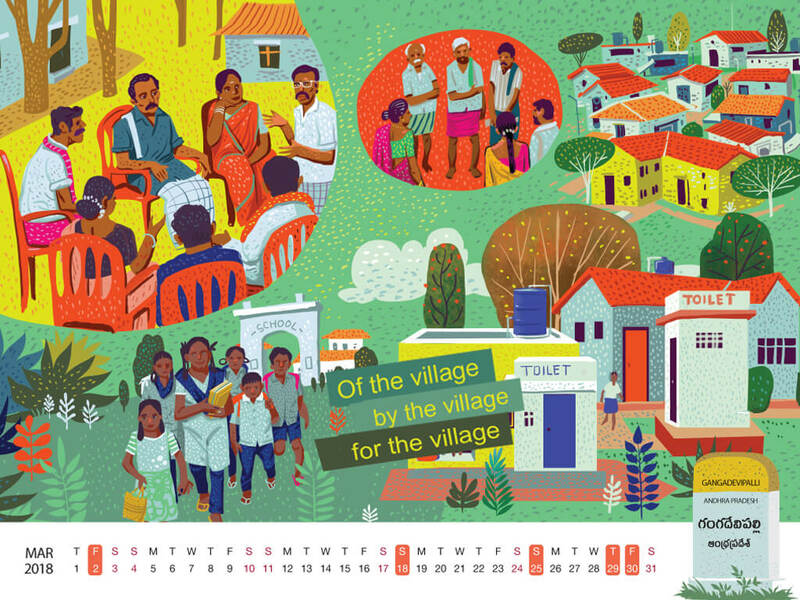 They took the help of an NGO, Bala Vikasa to build water tanks. With the help of the same NGO, they also formed various committees within the village to cater to their other existing problems like the lack of sanitation facilities and illiteracy. The outcome was such that today this village has a hundred percent literacy rate and a toilet in every house. 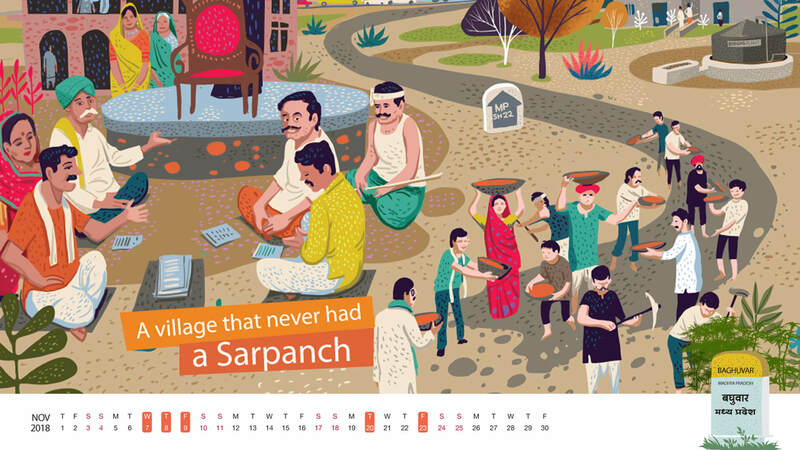 The achievements of this village have also inspired our Prime Minister, Mr. Narendra Modi to start Sansad Adarsh Gram Yojana, a rural programme that focuses on the social and cultural development of villages. Truly, Gangadevipalli has shown the world, that there’s no problem too big when there is unity amongst people. 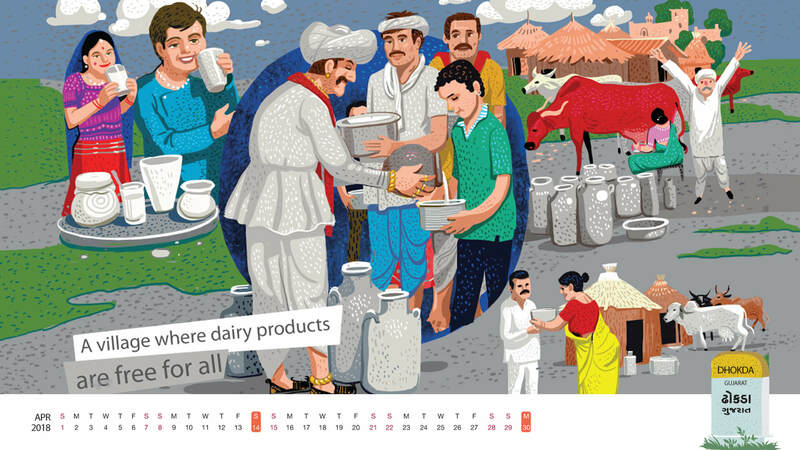 Imagine getting milk and other dairy products for free, every single day. 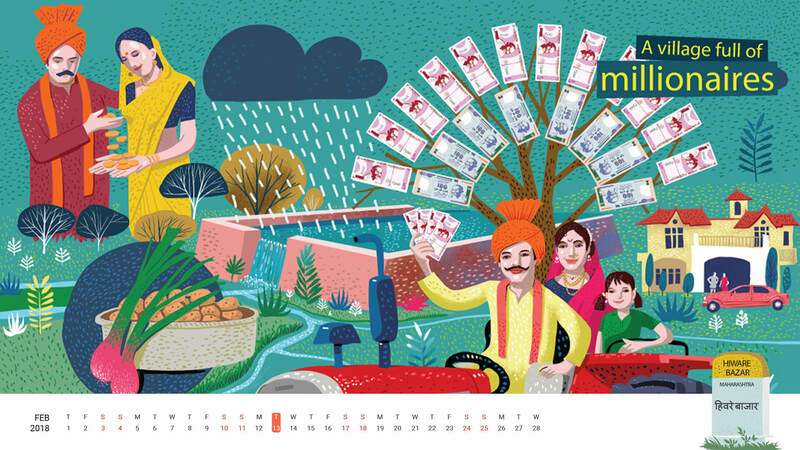 For us, it might be wishful thinking, but for the people of Dhokda, it’s a reality. Most of the people here rear cows due to which there is an abundance of milk and other dairy products. 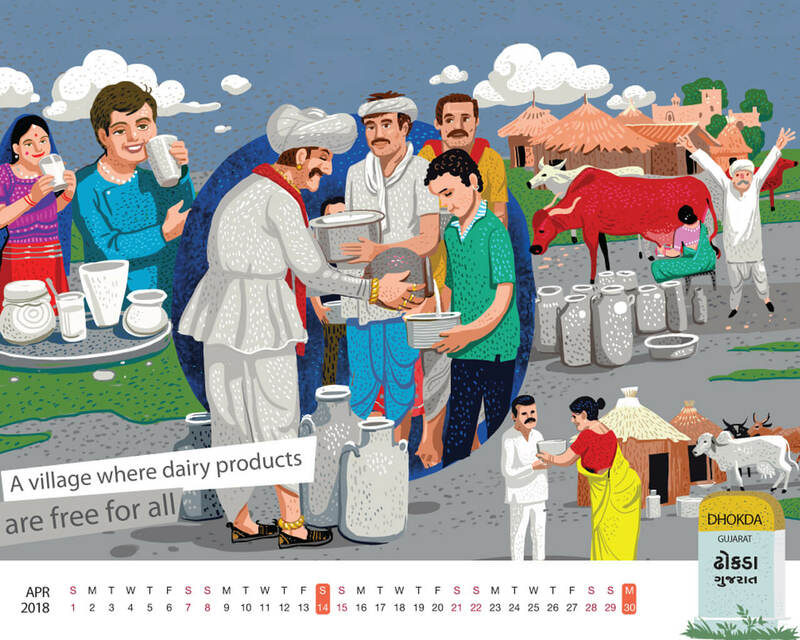 Instead of selling the excess milk, these families give it out for free to anyone in need. Not just within Dhokda, but to people living in nearby villages as well. 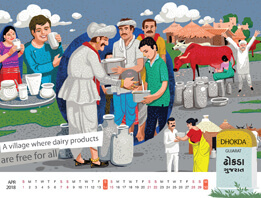 This tradition was started centuries ago by Pir Saiyadna, who believed that to maintain peace and prosperity of the village, people shouldn’t sell milk or any other dairy product for profit. 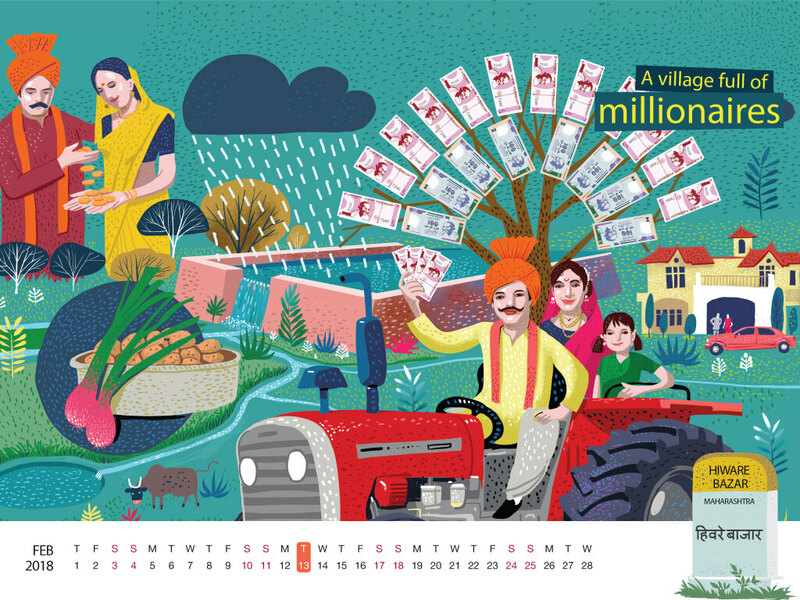 Thanks to this tradition, today Dhokda is one of the most charitable villages in India and also a living example of how people can share their resources to live in perfect harmony. 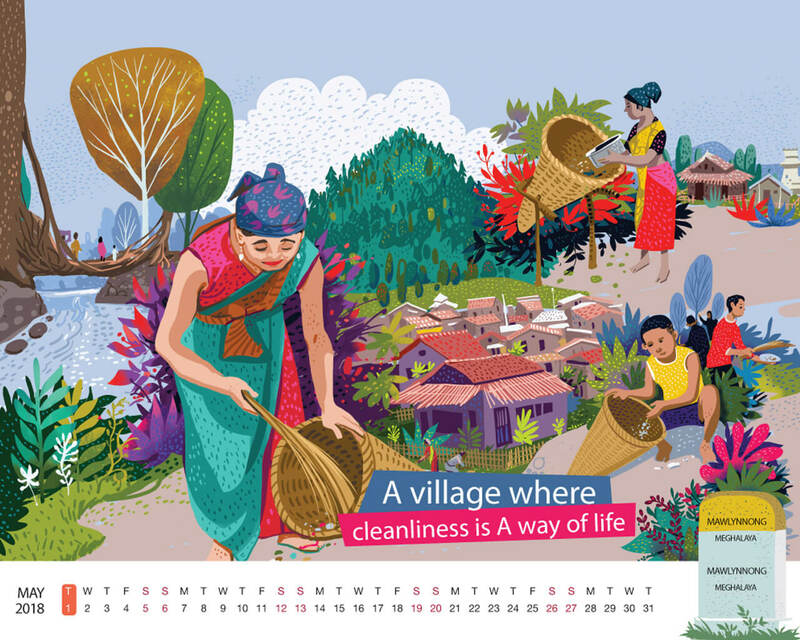 Mawlynnong has been setting the benchmark for cleanliness since ages. 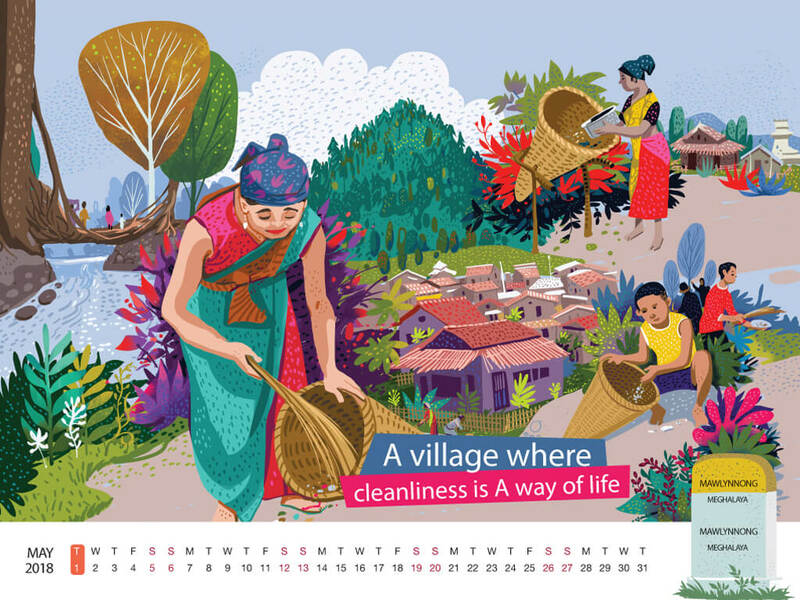 The Khasi community that resides in this beautiful village ensures that their village is as clean as their houses. 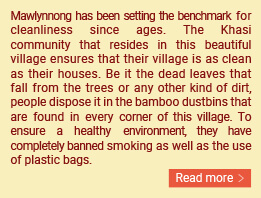 Be it the dead leaves that fall from the trees or any other kind of dirt, people dispose it in the bamboo dustbins that are found in every corner of this village. To ensure a healthy environment, they have completely banned smoking as well as the use of plastic bags. Thanks to such relentless efforts, Mawlynnong won the award for the cleanest village at the India Today Safaigiri Awards 2017. 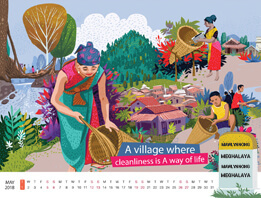 However, cleanliness isn’t the only thing that has made this village such a popular tourist spot. The credit for that also goes to the rare living root bridges found here. The alluring beauty of this village is probably the reason why most visitors call it ‘God’s own garden’. 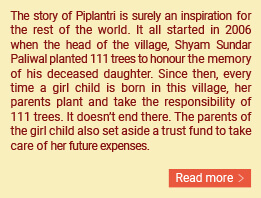 The story of Piplantri is surely an inspiration for the rest of the world. 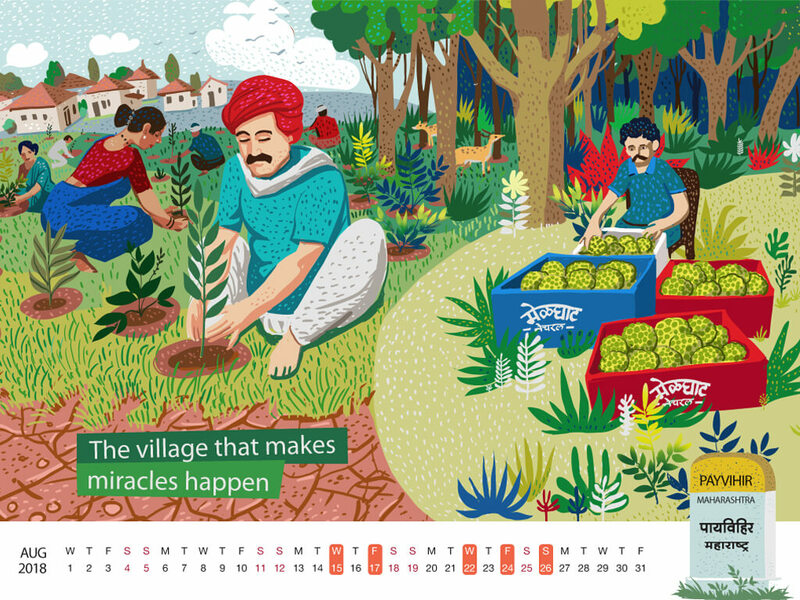 It all started in 2006 when the head of the village, Shyam Sundar Paliwal planted 111 trees to honour the memory of his deceased daughter. 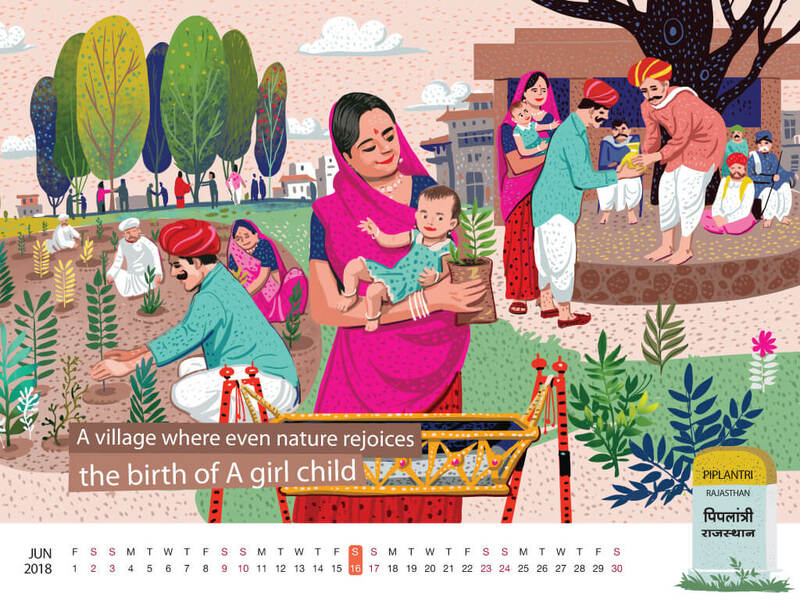 Since then, every time a girl child is born in this village, her parents plant and take the responsibility of 111 trees. It doesn’t end there. 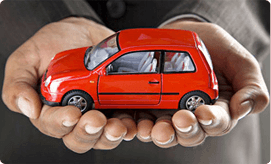 The parents of the girl child also set aside a trust fund to take care of her future expenses. This is done to ensure that she is never looked upon as a burden by her family. They also sign an affidavit promising not to get her married before the legal age and to send her to school regularly. Piplantri stands out as a village that teaches us that women should always be held in high regard. 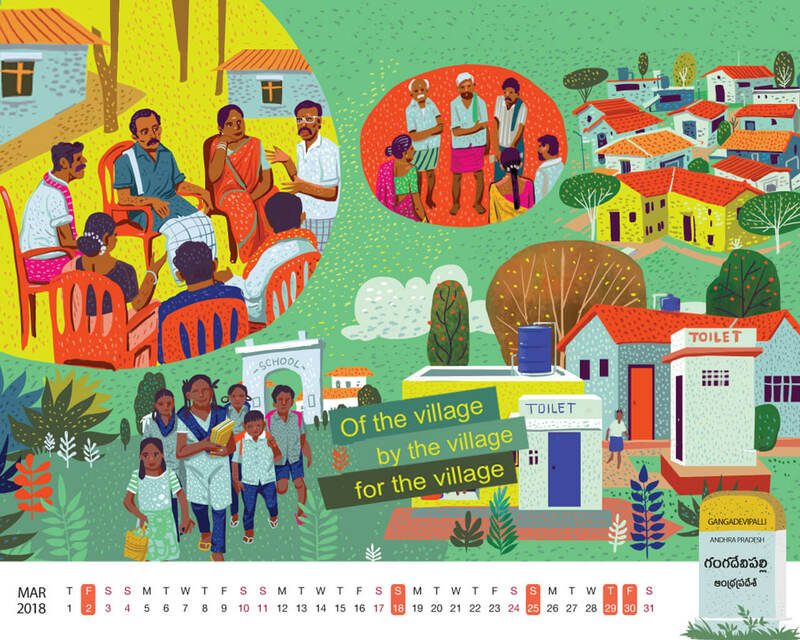 Till a few years ago, a typical day in the village of Dharnai used to end at 6 p.m. The reason for this being the lack of electricity. 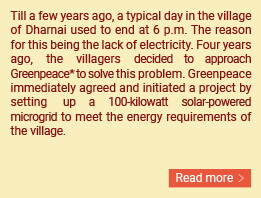 Four years ago, the villagers decided to approach Greenpeace* to solve this problem. 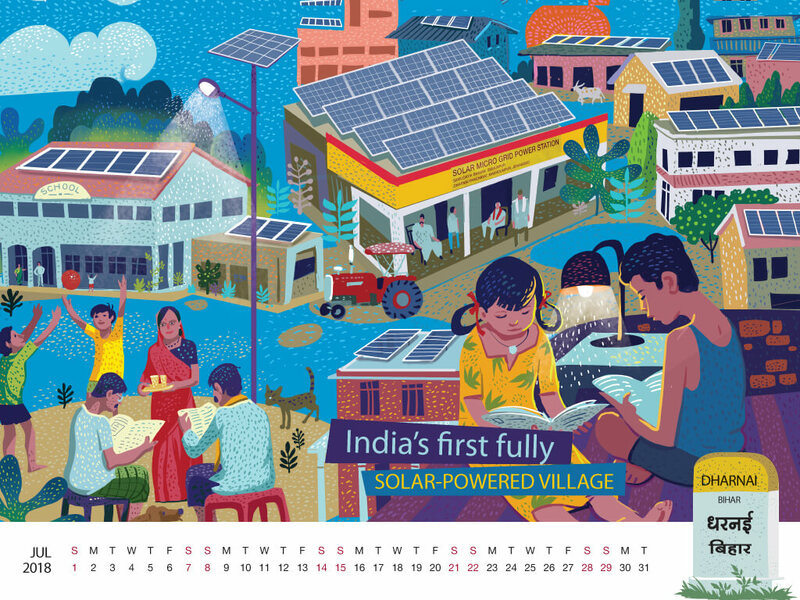 Greenpeace immediately agreed and initiated a project by setting up a 100-kilowatt solar-powered microgrid to meet the energy requirements of the village. 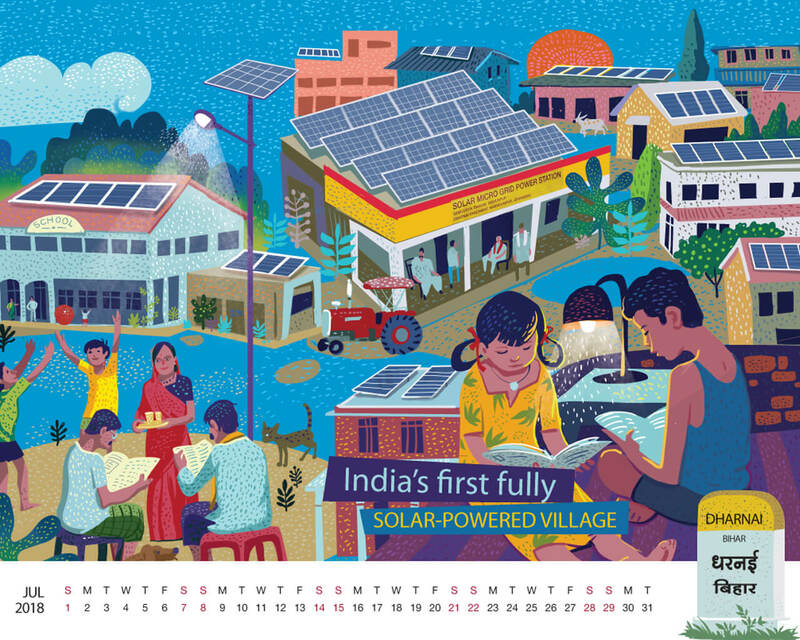 This microgrid aimed at providing 24X7 electricity to more than 450 houses and 50 commercial establishments using solar power. 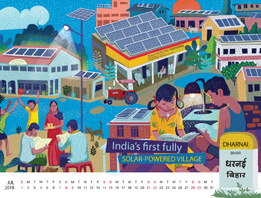 The project was so successful that in July 2014, Dharnai became India’s first fully solar-powered village and also declared itself as an energy-independent village. After this successful experiment, the villagers started www.dharnailive.in where they inspired and helped other villages solve their energy problems. Dharnai is a great example of how people came together and changed the destiny of their whole village. *Greenpeace is an independent global organisation that aims at protecting and conserving the environment as well as promoting peace. Payvihir is a village that transformed itself completely in three years. In the year 2012, it was given 182 hectares of barren land under the Forest Rights Act (FRA) 2006. The people started working towards soil and water conservation to revive the barren land. 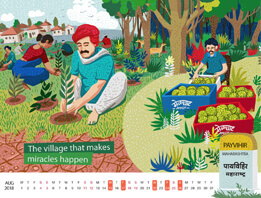 As the fertility of the soil increased, they started planting more and more trees. 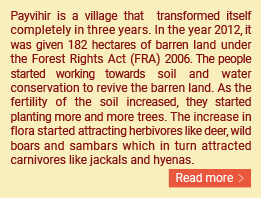 The increase in flora started attracting herbivores like deer, wild boars and sambars which in turn attracted carnivores like jackals and hyenas. This regeneration of the ecosystem improved the livelihood of the villagers. It gave them jobs, solved migration issues and led to a better governance of the village. It also led them to start their own brand of organic sitafal called ‘Naturals Melghat’, which as of today is exported to major cities. 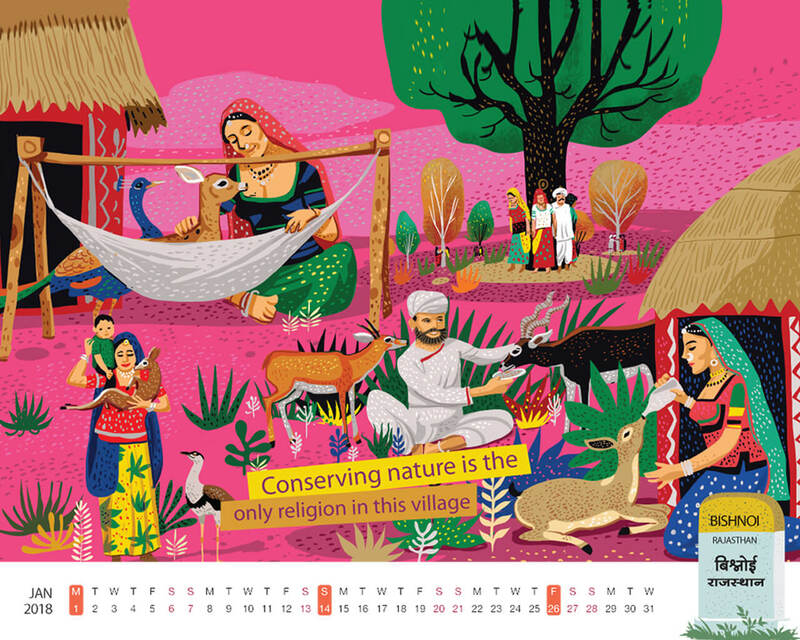 Payvihir is a village that managed to turn a barren land into a biodiverse ecosystem. A true miracle, isn’t it? 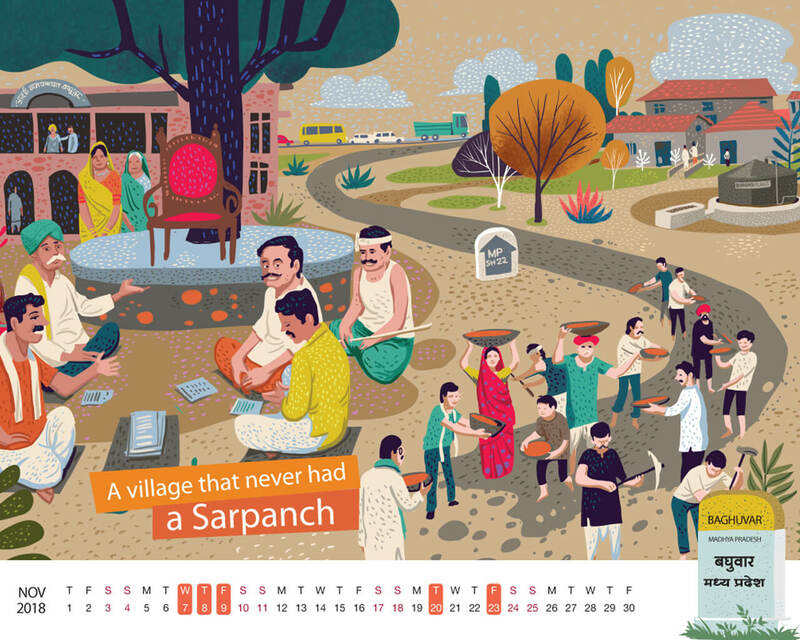 Punsari is the perfect example of an ideal village. 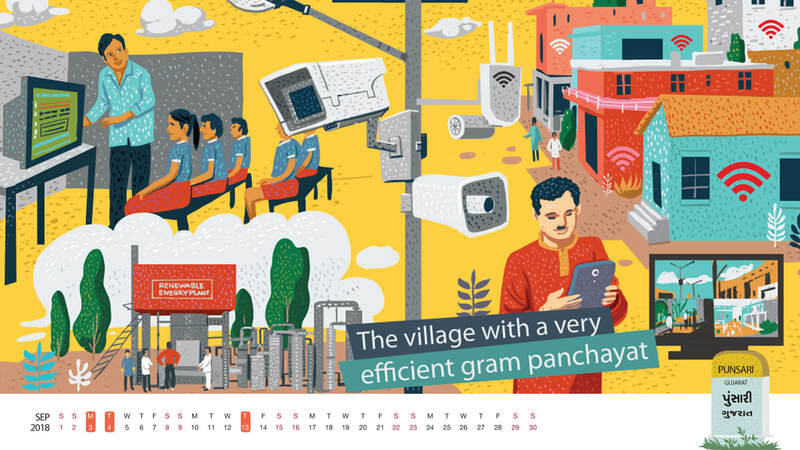 From the numerous waterproof speakers that are installed all across the village for important announcements to the fact that the whole village has high-speed Wi-Fi and CCTV cameras installed at all the prime junctions, everything about this village is extraordinary. Even the street lamps here are run by renewable energy plant, where all the waste of the village is disposed to generate energy. 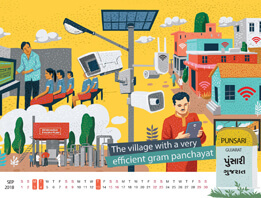 The panchayat has also ensured that each person in this village is given an insurance cover as well as a mediclaim police. 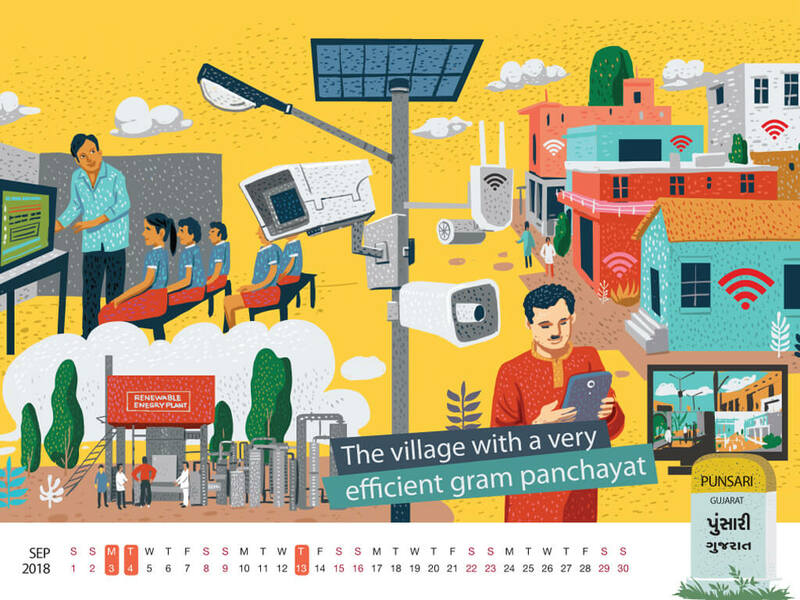 No wonder this village was awarded the Best Gram Panchayat Award in 2011 by the Government of Gujarat. in fact, Government was so impressed that it sent officials to study the development model of this village so that it could be implemented across other village in the country. 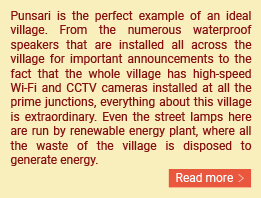 Next time you wonder what an ideal village looks like you should definitely visit Punsari. In the heart of Telangana lies a self-dependent village called Ramchandrapur. Whenever the people face any problem, they get together to figure out the solution. Once they figure out a way, every villager starts working towards eradicating the problem. 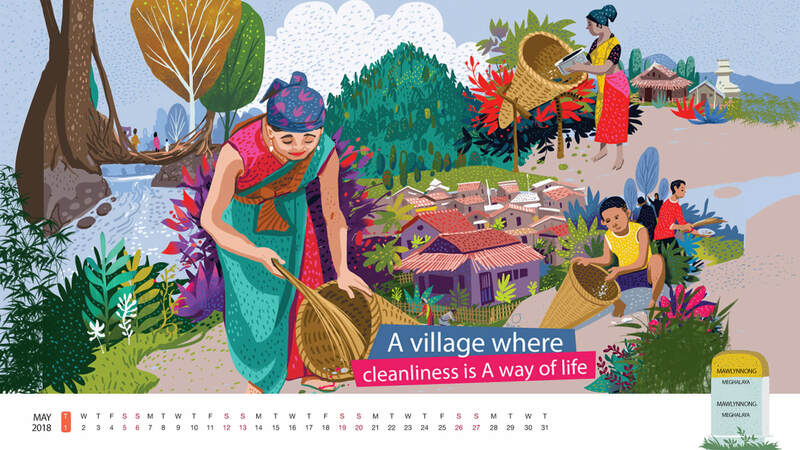 A few years ago, Ramchandrapur faced serious sanitation issues. So the people decided to improve their living standards. To do so, they constructed two overhead tanks in each house by making a subsurface dyke on the Moyathummeda rivulet to solve the drinking water problem. Then they installed smokeless chulhas and toilets with 24X7 water facility in each house. Even the huts were replaced by proper brick houses. 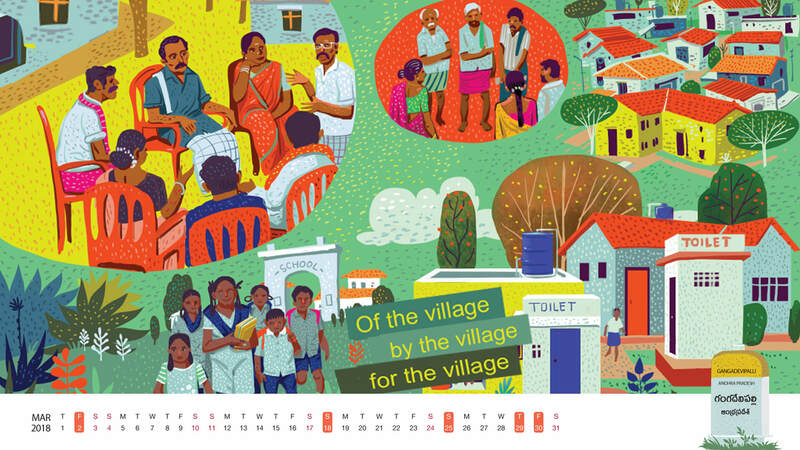 Their hard work was certainly rewarded when Ramchandrapur became the first village in Andhra Pradesh to win the Nirmal Puraskar in 2005 for 100% sanitation. 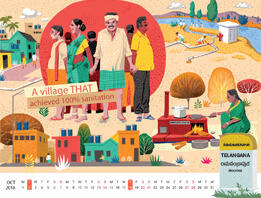 It is remarkable how within a matter of few years, Ramchandrapur went from being a village facing serious sanitation issues to becoming the village that won an award for 100% sanitation. 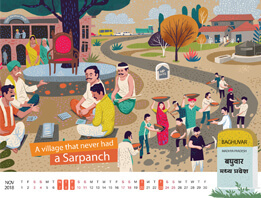 Baghuvar hasn’t had a single Sarpanch since independence, yet things here function very efficiently. 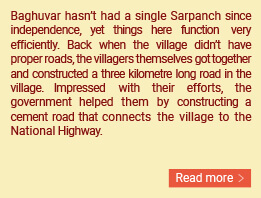 Back when the village didn’t have proper roads, the villagers themselves got together and constructed a three kilometre long road in the village. Impressed with their efforts, the government helped them by constructing a cement road that connects the village to the National Highway. After that, the villagers came together to set up an underground sewer system to ensure that the dirty sewage doesn’t overflow on the roads. Moreover, they have also set up multiple Gobar Gas plants across the village to provide cooking fuel and light to every household. 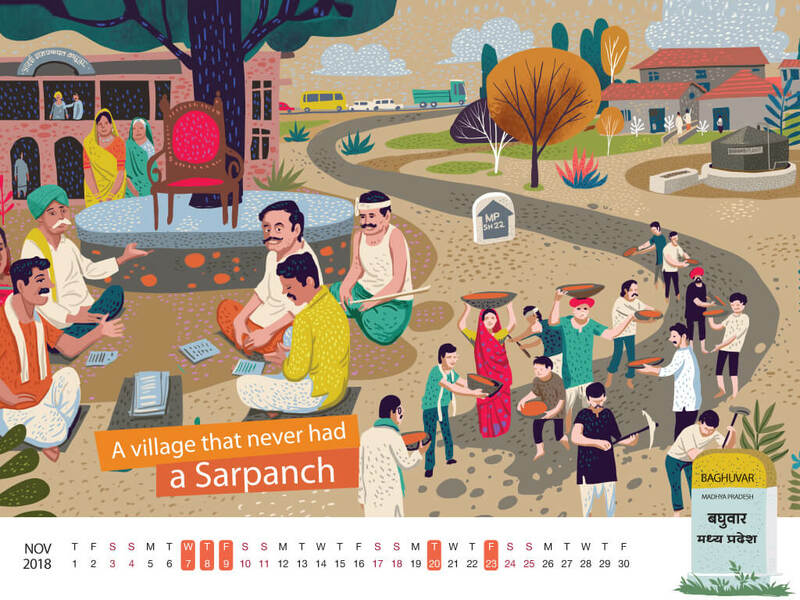 The fact that they managed to do all this without a Sarpanch is what makes this village truly astounding. In the heart of Karnataka nestles avillage that still operates on nature’s original plan. 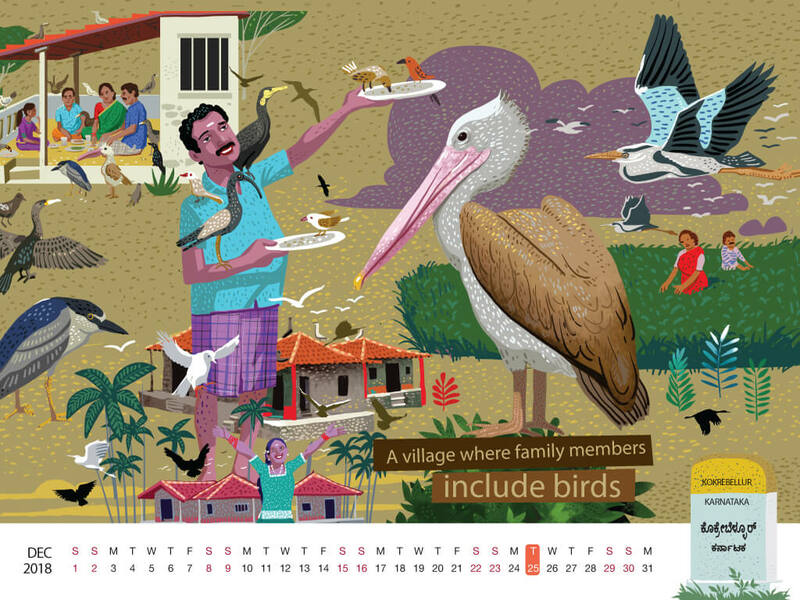 Here, every family has adopted birds and made them a part of their family. 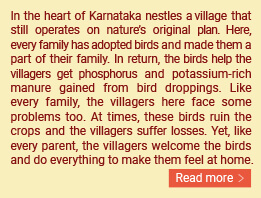 In return, the birds help the villagers get phosphorus and potassium-rich manure gained from bird droppings. Like every family, the villagers here face some problems too. At times, these birds ruin the crops and the villagers suffer losses. 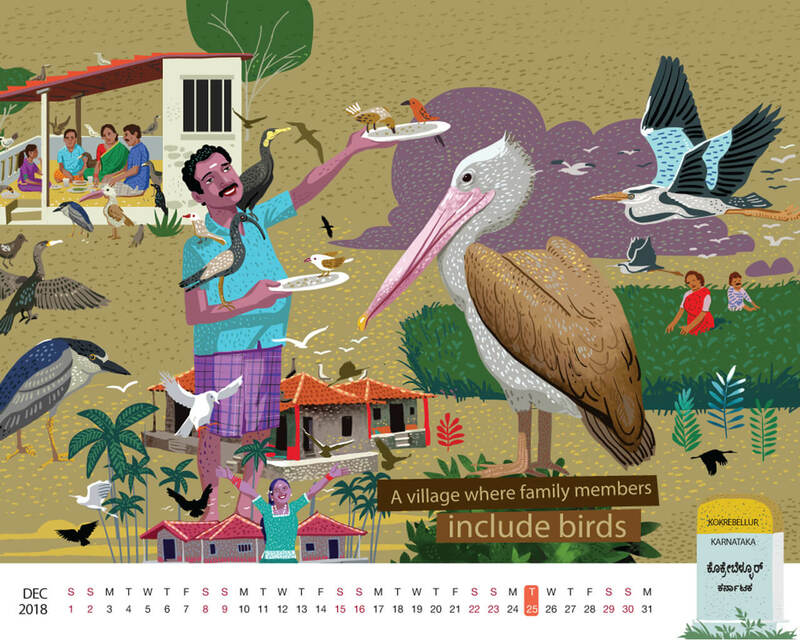 Yet, like every parent, the villagers welcome the birds and do everything to make them feel at home. 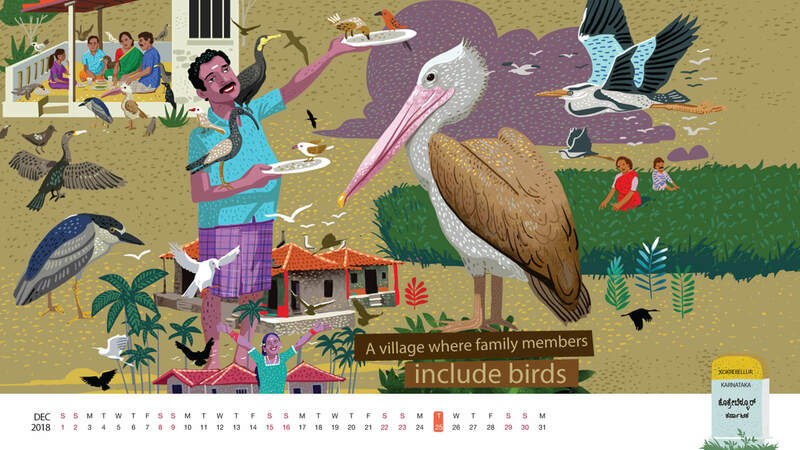 It isn’t a surprise that this village is named after the bird Kokkare, which is Kannada for Painted Storks. 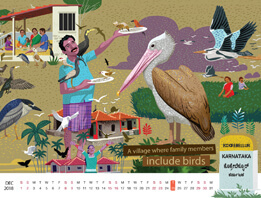 Today the village is also home to Spot-billed Pelicans, which have been put in the ‘near threatened category’ on the IUCN* Red List of 2012. Other family members of the villagers include Little Cormorant, Black Ibis, Grey Heron, Black-Crowned Night Heron and Indian Pond Heron. 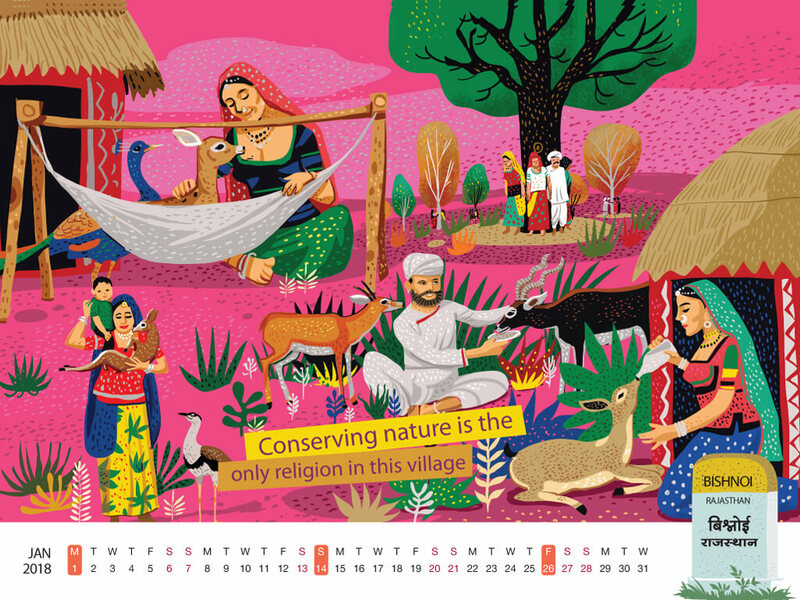 Undoubtedly, this village is one of nature’s favourite families. *International Union for Conservation of Nature.